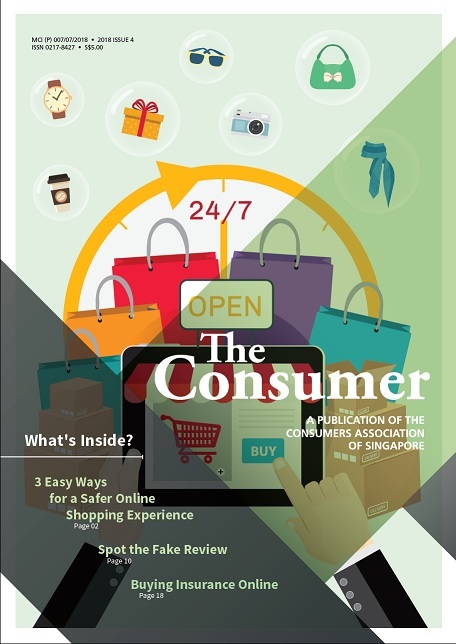 The Consumer is a quarterly magazine published by CASE that brings you the latest issues and trends in consumer matters, empowering you with the information to make wise purchase decisions and to be a smart consumer. We strive to be a credible provider of information on consumer issues, with no advertising or hidden sponsorship. Subscribers get access to exclusive research reports, commentaries, saving tips, reader's letters, CASE event updates and much more. You can subscribe to The Consumer at $13.00 (GST inclusive) for one year's subscription (for 4 issues)! If you prefer to send us an email, please click here and our officer will reply to you.